This review first appeared in the November 2009 issue of hi-end hifi magazine High Fidelity of Poland. You can also read this review in its original Polish version. We publish its English translation in a mutual syndication arrangement with publisher Wojciech Pacula. As is customary for our own reviews, the writer's signature at review's end shows an e-mail address should you have questions or wish to send feedback. All images contained in this review are the property of High Fidelity. Even though we published our own review of the Fi 2A3 monos many years ago, this brand is so rarely covered yet distinctly deserving that I opted to exploit this opportunity - Ed. Regardless of whether we consider Joseph Wilson Swan the inventor or, as surely every American would, Thomas Edison, I bet these two men could not have imagined all the uses their inventions would be put to. Probably neither Swan in 1860 nor Edison in 1879 had any notion how their light bulbs would get modified. Englishman John Fleming affected the first modification by adding a second electrode. By 1906 Lee de Forest had added a third electrode and changed the function of the bulb wholesale. The modified bulb would not generate light but amplify a signal passing through it (whilst still glowing a bit). Many tube lovers recognize the name Edison, some perhaps even Swan but how many of them know of Lee de Forest? That’s irony. But I won’t continue with history and instead switch directly to a living legend of American tube electronics – Don Garber. This name will probably only ring a bell with readers of American audio forums. In Poland, there won’t be many who had a chance to listen to his products due to just how he conducts his business. 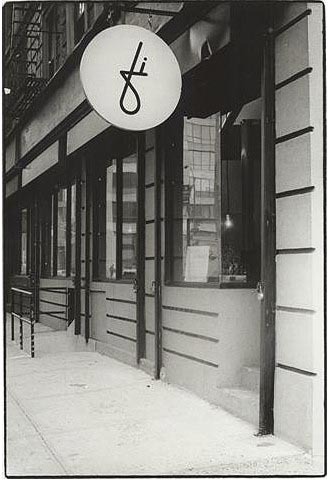 In 1992, Don became known in the States when he opened the small shop Fi on 30 Watts Street in Soho, New York. This was a small triangular room with a large display window and a table in the center where he fabricated his creations. In today’s consumer hifi renaissance of tube technology, it’s hard to imagine that during the 90s, there was almost no SET market in the US. 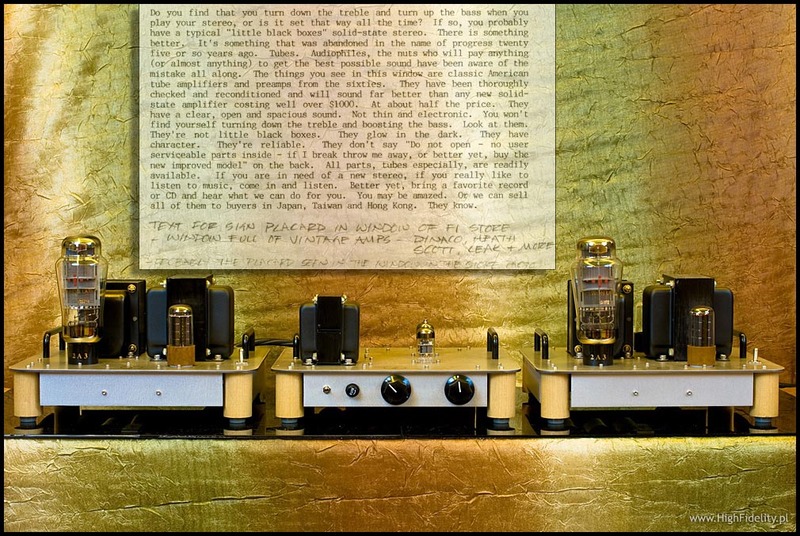 Fi became the place where this new era of vacuum tube amplifiers started its labors as a kind of communal womb. It’s where folks like Noriyasu Komuro, JC Morrison, Gordon Rankin and Herb Reichert took their first steps down that road. Some of them sold their first products in Fi, for others it was the place to meet, exchange ideas and work together. This is how Don advertised the gear sold in his shop. He was putting tube kits together many years prior to launching Fi. However the shop and the enthusiasts which would gather around him compelled him to advance his own designs, first with JC Morrison or Noriyasu Komuro, later on his own. 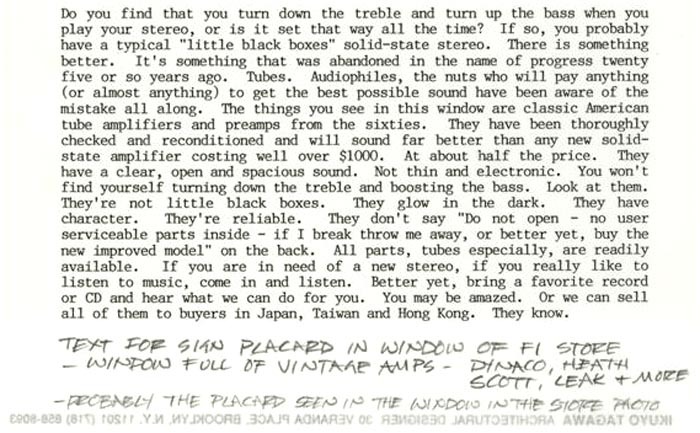 His first amplifier was based on the 2A3 and took a long time. When he arrived at good results, Garber started simplifying the circuit. Each subsequent simplification improved the sound. Finally he considered it ready for sale and placed it on a shelf. It was called The Fi 2A3 Stereo. The first one was bought by a passerby who entered the shop, listened to the amp and smacked $1475 on the table. Then came subsequent units and improved versions, which established the name of one of the biggest tube gurus of America. Why have only a few heard of Don Garber outside the USA? Because not many could listen to his products. And why was that? Enter his specific sales policy. In the 21st century, it is hard to comprehend a company without a web page, without a distribution network, without advertisements or even reviews in specialist magazines. But that’s exactly how Fi operates. The shop on 30 Watts Street is no longer. Don moved to Brooklyn where he builds amplifiers purely word of mouth. He hand-crafts all of them personally, the US pricing is very reasonable and the waiting period about 6-7 months! Does this suggest a dying business?